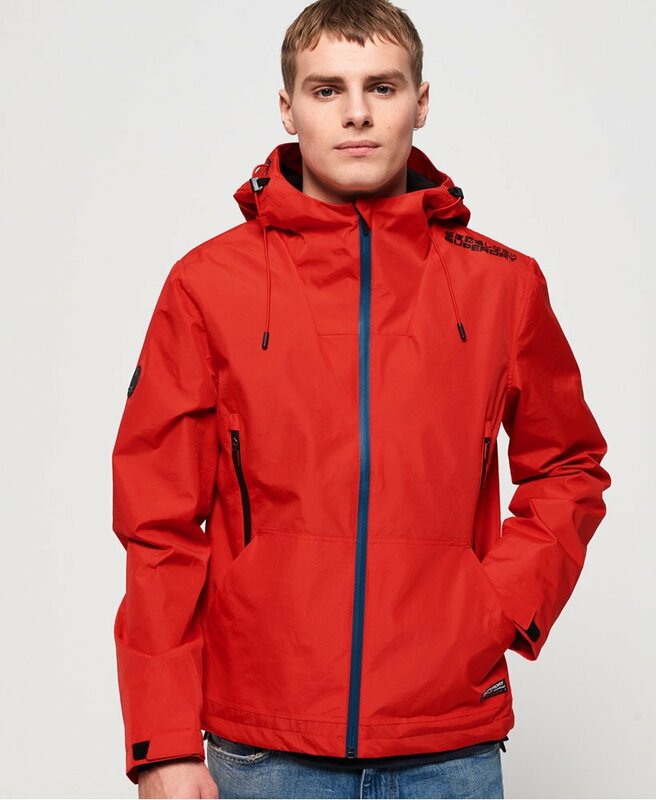 Superdry men's Arctic Elite SD-Windcheater. This jacket features an adjustable drawstring hood and hem, two front zip fastened pockets and one inside zip fastened pocket, ideal for carrying a phone or wallet. This jacket also features hook and loop adjustable cuffs with thumbholes and a fleece lined body and hood. Finished with a rubber Superdry logo on the shoulder and sleeve and a Superdry logo badge above the hem.